Wild Futures not only works to end primate suffering in the UK, but provides advice, practical support and funding to overseas projects which are working to protect primate habitats and improve primate welfare. Through our small grants scheme we are able to offer support to these projects, enabling them to continue their valuable work in conservation, rehabilitation, and education. Esperanza Verde is a wildlife rehabilitation centre in Peru which rescues a large number of animals confiscated from the illegal trade. Their mission is to rehabilitate and release native wildlife, as well as reforest areas of the jungle previously lost to farming. Esperanza Verde applied for funding from us for a new soft release enclosure (an enclosure that allows a gradual transition back into the wild). They often rescue very young primates (woolly monkeys are one of the most commonly trafficked animals in the region) that need to be introduced to the other youngsters that are already at the centre. They need a new enclosure where these monkeys can go and safely get to know the others and their surroundings, before being released to join them. The enclosure will also serve as a space for monkeys that will spend their days in the jungle, but are not yet ready to live in the wild full-time. We were able to give them funding at the end of 2018 and we will keep you updated on the development of their new enclosure. Merazonia is the only wildlife centre licensed by the Ecuadorian ministry of environment as a rescue and rehabilitation centre. They are situated in primary and secondary rainforest in the Amazon basin and receive a variety of illegally trafficked wildlife, many of which are primates. They focus on the primates endemic to their region which are woolly monkeys, red howler monkeys, saddle-back tamarins, and white fronted capuchins. They do not allow tourists to visit the centre and only work with volunteers who help to cover the basic monthly running costs. 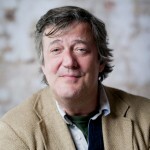 For any bigger projects and building work they rely on grants and donations. We gave Merazonia funding for an enclosure extension for their capuchins. The enclosure is designed so that monkeys can be shut off in various compartments for cleaning to avoid interfering with the group and prevent interaction between humans and monkeys. 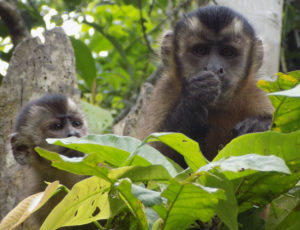 This year they have released their red howler monkeys and woolly monkeys, and they are hoping to do the same with these capuchins as well, but in the meantime they need more space. We also funded their woolly monkey enclosure extension back in 2011 and these monkeys were reintroduced into the jungle this year so the enclosure was a success which is great news. The Vervet Monkey Foundation, (VMF), in the Limpopo Province of South Africa , rescues and rehabilitates orphaned and injured primates and provides permanent sanctuary to those individuals who cannot be released. Vervet monkeys are persecuted as “pests” in some of the areas where they occur, so the VMF has their hands full with over 500 monkey residents at their sanctuary. The grant from Wild Futures enabled VMF to employ additional local temporary staff so the VMF team could continue working on the ongoing care and husbandry of the rescued primates.This also enabled VMF to replace an old enclosure within their projected three-month period time frame. Not only did they manage to complete this on schedule, but they were able to double the size of the old enclosure, which will greatly improve the lives of the monkeys in their care. One of the employees, Lucas, showed so much enthusiasm that they decided to take him on permanently. They built new introduction enclosures first so that they could expand the existing territory. The enclosure was built from a new design to improve on the health and safety for the volunteers working outside the enclosures. The monkeys are now enjoying their new space, climbing the trees and foraging in the grassy areas. Barbary Macaque Awareness and Conservation (BMAC), based in Morocco, looks to safeguard the future of the Barbary macaque, its habitats, and the livelihoods of the local communities who are part of the ecosystem in which the macaques live. They raise awareness about the macaques through developing programmes to benefit the local people to foster a positive relationship between the local community and the macaques. They also fight to end the illegal trade of macaques whilst helping to preserve the forests for the animals who depend on them. 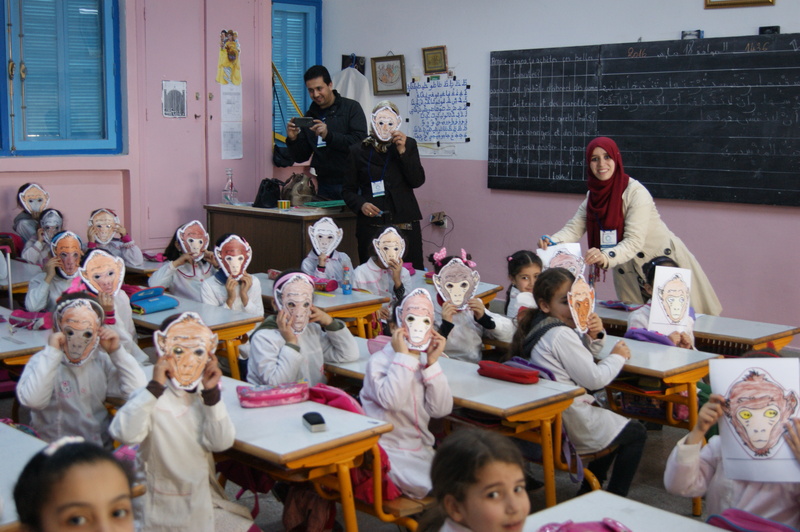 BMAC were provided with funding for a portable education unit to not only raise local awareness about Barbary macaque conservation, but to also promote participation. 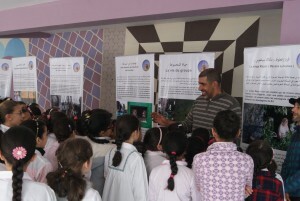 They were able to reach around 500 children of primary school age with their portable exhibition. This was a big hit with both older and younger children and one of its outings was on International Macaque Day. Raising awareness in this way has been very effective for BMAC, in one week they received more than 30 calls from concerned Moroccans informing them of a man with a macaque being used for entertainment purposes. As a result of these calls they were able to get the macaque confiscated by forestry officials and the man was fined. BMAC reported that before the use of the education exhibition, it would have been very unlikely that this would have been reported in urban areas, as the local community would not have thought it was in anyway wrong. 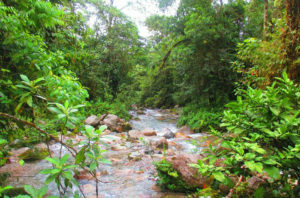 Neotropical Primate Conservation (NPC) was set up in order to promote the conservation of Neotropical forest habitat and wildlife through various means. These include land protection; research; improvement of degraded habitat for wildlife; creation of public awareness and facilitation of the commercialisation of sustainable, ecological products on behalf of local people. The aim is to create private and community-run reserves that will protect major areas of the natural biological corridors connecting existing protected areas, ensuring long term habitat protection. They run dozens of low cost projects that have already proven successful, and use their experiences to promote globally efficient conservation. 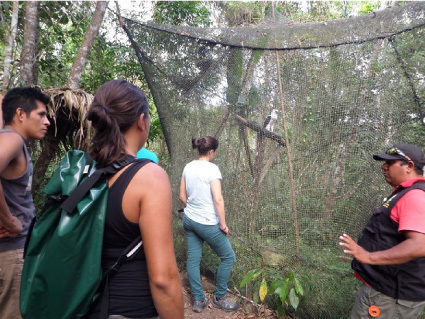 The funding Wild Futures provided allowed the NPC programme to visit rescue centres throughout Peru in September 2015. These visits were ordered by the wildlife authorities of San Martin and run by many specialists in their field. This type of visit is very important as it enables the authorities to take a general evaluation of the centres, enclosures, constructions, staff capacities, and the physical health and behaviour of the animals present. Unfortunately, many of the tests required for a full medical check are not available in Peru, so NPC are currently in discussions with multiple institutions to make sure these tests become available for rescued primates in order to avoid release of sick animals to the wild. The carers at each of the centres participated in all aspects of the visits and were encouraged to learn from the process and to ask about the different animals’ health, behaviours and possible treatments. Since the beginning of this grant period NPC has been involved in the reporting, rescue, confiscation, care and/or transport of 1078 animals. "We are meant to be a nation of animal lovers, so why the trade in a wild, social animal with complex needs is still legal, continues to astound me. 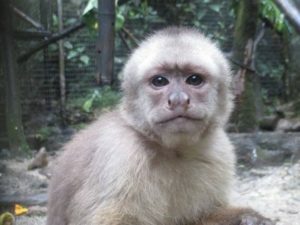 Joey’s story is not unique – many of the monkeys rescued by Wild Futures have their own terrible tales. Taking part in this project was important to me and I sincerely hope that many people are moved to support Wild Futures’ work, so that the charity can campaign to put an end to the trade and rescue more monkeys in need"